Hey everyone! My name is Kacy, and I’ll be taking over Carrie’s blog today. 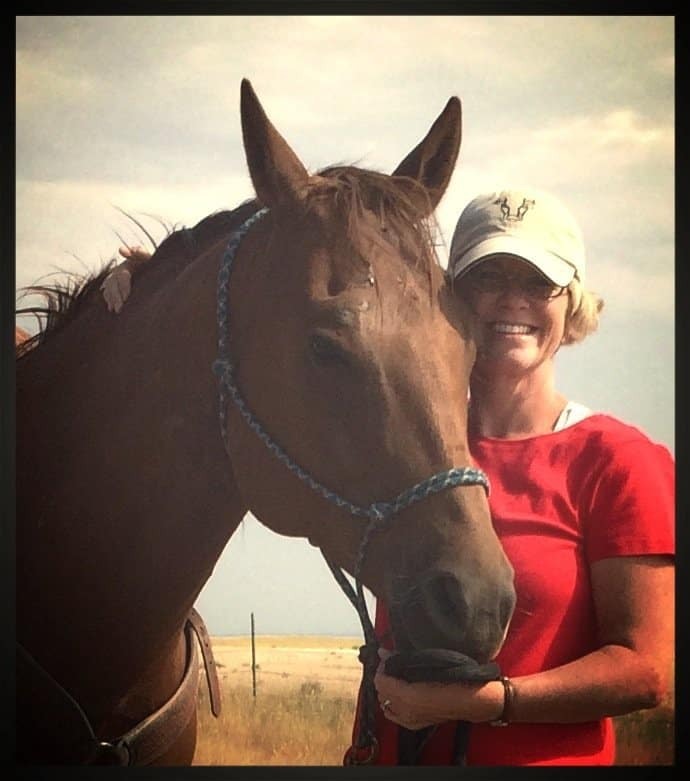 I live on a cattle ranch in southeast Wyoming, that is well, 10 miles past nowhere. It’s remote, rugged, and beautiful, but leads to sort of a crazy life where we end up still doing most things the old-fashioned way. 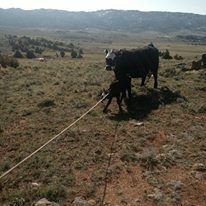 But I love being able to ranch with my family, even if it is 40 some miles to the highway and 85 miles to town. 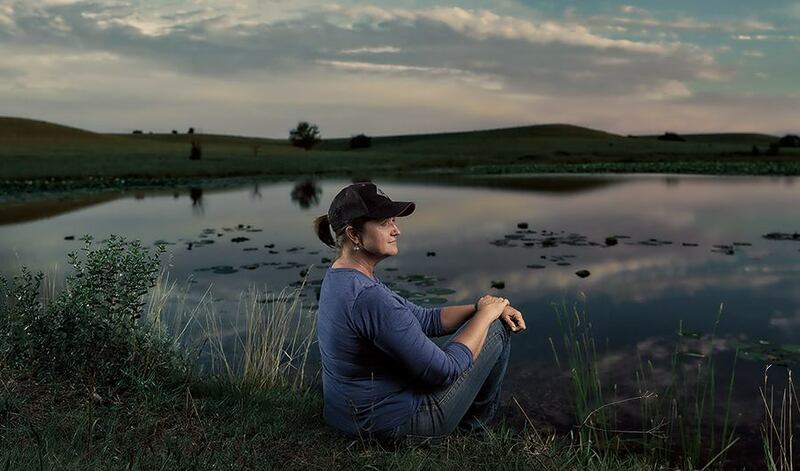 Today, I want to share a little bit about our beef sustainability story. Sustainability has become a $20 word in a $10 world. 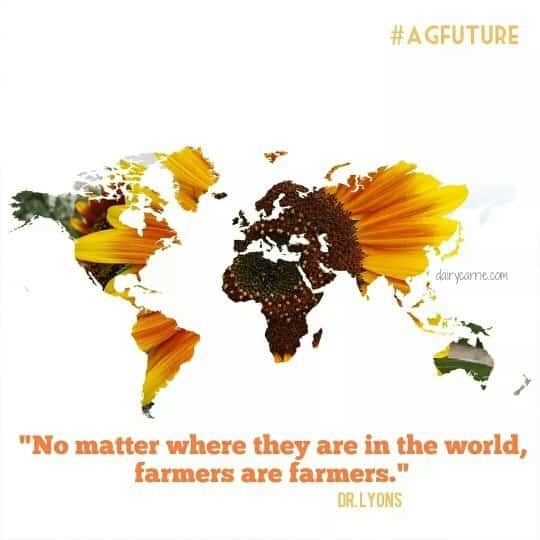 It seems like it’s part of every conversation I have about the agriculture industry. But what does it really mean? Ask 100 different people, and I think you’d get 100 different answers. It seems like when we talk about sustainability in the industry, it centers around big dramatic improvements. 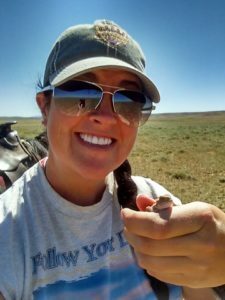 Are you part of the newest conservation program? Have you employed the latest grazing management system? Are you using the latest and greatest technology available? If I couldn’t say yes to any of those questions, I didn’t feel like I could contribute to the sustainability conversation. So, what does the answer to that question look like 10 miles past nowhere? Raising beef sustainably looks different in every region of the country. 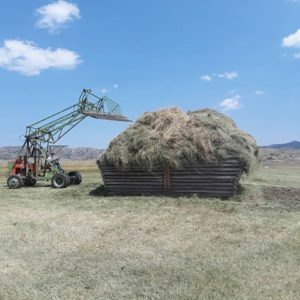 Here are a few different things we have done around our cattle ranch in Wyoming to become more sustainable. 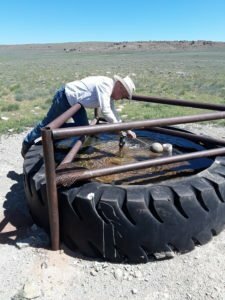 Ensuring clean and efficient use of water is important for our family cattle ranch. We’ve installed several new pipelines over the past 25 years. We have big pastures out here in the middle of nowhere. But, there wasn’t always easy access to water, so the cows wouldn’t graze the whole pasture. By adding water pipelines, we can keep cows access to water within a ½ mile in all areas of our pastures. This helps them naturally distribute themselves across the pasture, and graze the whole place, instead of just what is close to water. We’ve improved our dams, reservoirs and ditches. 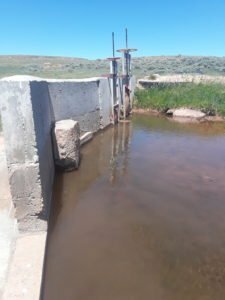 This allows us to better control our water resources and help get that water to the meadows to irrigate instead of losing it along the way. Most years water is a precious resource that we don’t have an unlimited supply of. 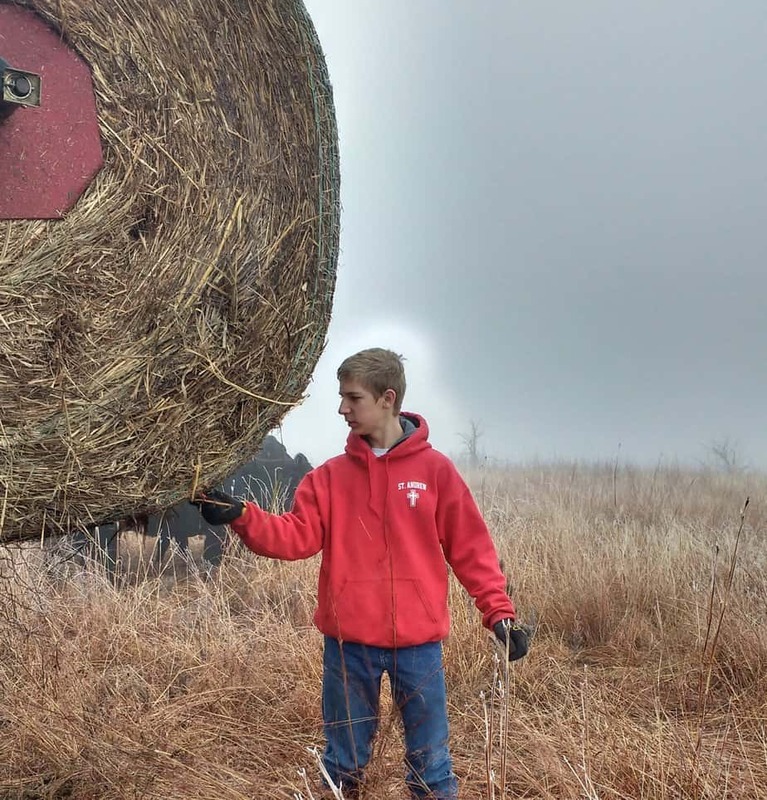 We need to make the water we have access to count, and through the improvements we made, we do a better job getting it out of the creek or storage and onto our meadows where we can grow hay and grass. Making sure our animals are well cared for is an important piece of the sustainability puzzle. We’ve improved our corrals. Granted, this is still a work in progress, and we need to build a new corral on one part of our operation. But the changes we have been able to make allow us to handle our cattle in a much more low-stress manner than we could before. Cows that are less stressed are always healthier and easier to be around. Working them and loading them is something one person can do in most of the facilities we have now, which is important for them, and necessary for the limited labor resources (i.e. dad and me) we have available. We’ve improved our cattle health regimen. Through the research that is being done, we can best determine what vaccinations and health products to offer our cattle, and when to do so. Now, we vaccinate our first-calf heifer babies at birth to help keep them from getting sick when we turn them out. 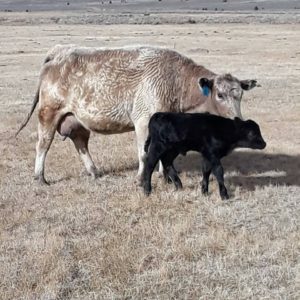 We deworm all our calves at branding, so they can better utilize the feed resources they have access to between then and branding and feed themselves instead of bugs. We alternate our parasite control so that the bugs don’t develop resistance to one product. These are only a few examples. And none of them may seem flashy or exciting compared to what some operations have been able to do. They aren’t likely to be the topic of interest at any industry convention. But they are all important changes that have allowed us to improve and stay in business. They have allowed us to manage more effectively and do our job better. The little things we do each and every day count just as much toward the sustainability story of beef as the big fancy things do. So, the next time someone asks you about your sustainability story, I challenge you to not be scared to be part of the discussion like I was. Or to think you don’t have anything to offer. You do. We all do. It’s the little things we do every day to get better. That’s the sustainability story of beef. For more on life 10 miles past nowhere, I’d love to share with you on Instagram @10milespastnowhere, Twitter @10milespast, or visit my website, kacyatkinson.com. To explore more about beef’s sustainability story, visit BeefResearch.org. 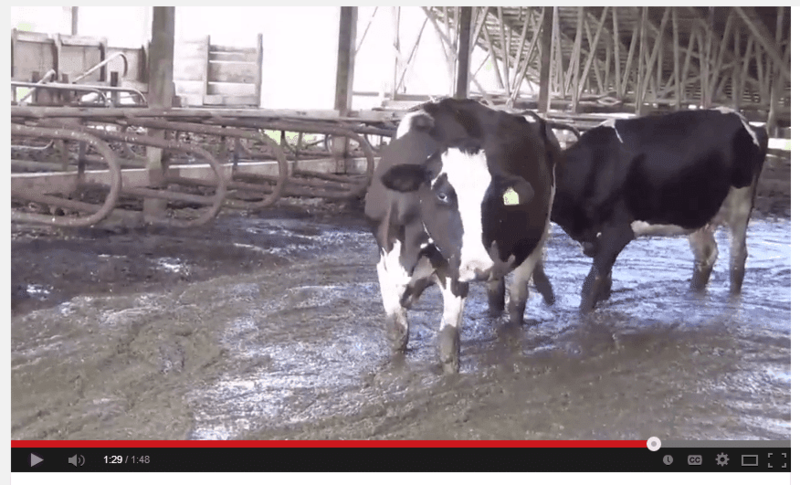 PETA’s Undercover North Carolina Dairy Farm Video. Love this!! Where is your ranch? I am from Chugwater! I live close to Laramie Peak. I love that Carrie has guest bloggers! I learn something new every time I read. Thanks for a bit of your story Kacy; I envy your your life! Well thanks Terri! Its definitely got its challenges along with its high points! Good luck with your dream! It’s a great life. I love this! I agree, it can be scary to answer the big question of “what is sustainability?” The way you answered the question makes it easier for people to understand because it applies real life examples rather than using words strung together. Great article, thanks for it! I love this! I agree, answering the big question of “what is sustainability?” can be very intimidating. There are so many ways that you can answer this question, most of the time it includes stringing various words together. I like the idea of using real life examples to help explain what sustainability is and how diverse it is. Great article!